Peppermint (Mentha peperita) medicinal herb may be used for medicinal and culinary purposes. The whole plant may be used as herbal medicine. It is a very popular plant that is native to Europe and it is grown in Asia and India. It is from the Mint or Lamiaceae family. They are collected as soon as the flowers begin to open and they are then carefully dried. The common names of this herb are Mentha peperita, Brandy mint, Balm mint, Curled mint, Menta and Lamb mint. There are over 60 species worldwide and this one is the strongest. The medicinal properties are astringent, carminative, antioxidant, emmenagogue, febrifuge, expectorant, diaphoretic, cholagogue, adaptogens, aromatic, nervine, stimulant, refrigerant, tonic and antispasmodic. The constituents are essential oil with menthol, choline, flavonoids, carotenoids, rosmarinic acid, tocopherols, hesperidin, terpenoids, vitamin C as well as vitamin A.
I love this plant so much and I consume it on a daily basis. I made sure to grow it in my own herb garden. This was one of the herbs that was popularly used by my grandmother. 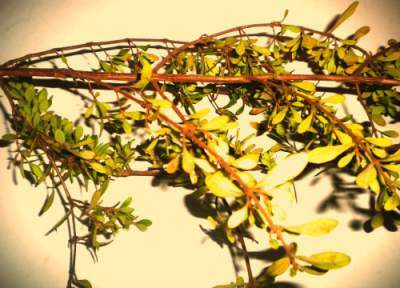 Currently, it is a very versatile and popular plant that is relatively safe for both children and adults. It can be used both dried and green. Although there are more than sixty species worldwide, peppermint is seen as the strongest. It is used to treat chills, colic, fevers, dizziness, flatulence, nausea, vomiting, stomachache, pains, diarrhea, dysentery, cholera, heart trouble, palpitation of the heart, influenza, la gripe, hysteria, rheumatism, neuralgia, headache, coughs, cholera and colon troubles. Unlike coffee that weakens the heart muscle, this herb will actually strengthens the heart muscle and also strengthens the nerves. This is more beneficial than taking aspirins and other harmful drugs. It strengthens and cleanses the entire body. It relaxes the gastroesophageal sphincter, thus promoting belching. Many Caribbean people can relate to this fact as this is one of the oldest household remedies of all times to get rid of this gas in the stomach. It is good to allay fainting and dizziness and to give a natural strength and calm to the stomach after eating irritating foods. It is a good herbal remedy to treat bad breath. The various products of this herb are aromatic oil or essential oil, chewing gum, tea, mint chocolate, mint candy, candy cane and insect repellent among others. Two to three drops of the oil in quarter cup of warm water and taken three times per day will alleviate irritable bowel syndrome (IBS). The oil is just as potent as the plant itself and it possesses the same herbal remedies. It is seen as culinary as well because it may be used to season and flavour mutton and pork as well as other meat dishes. Peppermint is favoured for its cooking flavour and carminative use. Peppermint can replace Milk of Magnesia, Pamprin as well as Nyquil. A person should avoid using it with simvastatin (Zocor) and felodipine (Plendil). This medicinal herb should not be avoided. Use one ounce of it in a pint of boiling water then sweeten with honey if so desired. It makes a delicious aromatic tea. For gas pain or flatulence boil two tablespoon of the dried leaves in one glass of water for five minutes. Adults can take one glass every four hours and children seven to twelve can take one cup every four hours. Six chopped fresh leaves of peppermint can also be used with the above instructions.